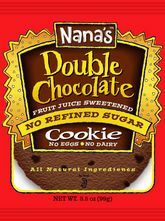 Nana’s Cookie Company Giveaway WINNER! time to announce the GIVEAWAY WINNER!!! Oh, yea. I said it. 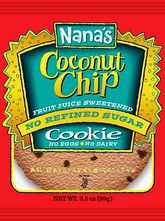 NANA’S COOKIE COMPANY GIVEAWAY! That’s right! What’s better than free COOKIES? and healthy, delicious ones at that? 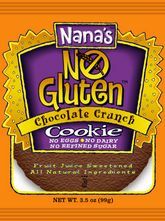 Nana’s Cookie Company is being oh-so generous and is going to give ONE lucky reader one free gluten free gift basket of their products!! 1. Mandatory- Follow Nana’s on Twitter, or sign up for the newsletter! Bonus- if you sign up for the newsletter, you get a free in-store coupon as well as other cool monthly discounts! 3. Follow me/ add me to your blog roll! 5. Leave a comment saying what your favorite type of “healthy” cookie is. Contest will run until Sunday, June 13th 2010. U.S. Residents ONLY!